This simple exercise can help you gain a sense of the present moment. Present moment awareness is often helpful for those who tend to feel overwhelmed and anxious, as it promotes a feeling of calm, and a sort of attentiveness toward the body, rather than the mind. We often rush through our day, feeling as though we have too many things to do, and not enough time to accomplish it all. When you keep your focus on the next thing you have to do, you lose sight of the present. However, the present is the only moment we can truly experience, despite the fact that most of us worry about the future. To complete this brief exercise, find a quiet place to sit or lie down, away from others. Time yourself with a stopwatch, or look at the clock as you begin. 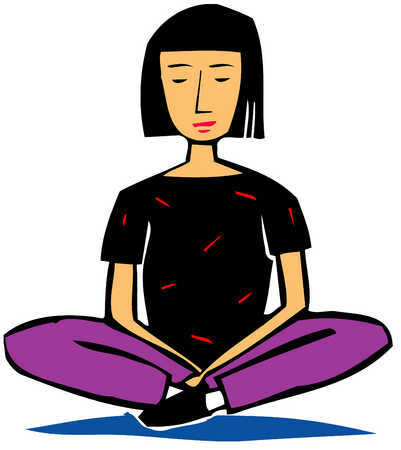 Now, stay still in your comfortable position with your eyes closed or open, breathing deeply. Resist the urge to count the seconds, and when you think that one minute has passed, stop the timer, or look again at the clock. Notice how much time has actually passed. This tip helps reduce the racing thought that “there isn’t enough time” to get all the tasks of the day done, which can lead to feeling overwhelmed. You will notice when doing this exercise that one minute feels like a long time when you are still and present. By slowing down, you will actually feel less overwhelmed.